EAST LONGMEADOW, Mass. 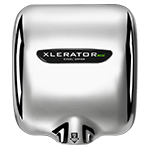 – Excel Dryer, Inc., today announced that three of their hand dryers, the original, patented, high-speed, energy-efficient XLERATOR® Hand Dryer, the XLERATOReco® Hand Dryer and the ThinAir® Hand Dryer, were evaluated, and their environmental claims, substantiated with the publication of the hand dryer industry’s first Environmental Product Declarations (EPDs). An Environmental Product Declaration is a standardized way of quantifying the environmental impact of a product by studying the raw materials and energy consumption during its production, use and disposal. For buyers and specifiers, the EPDs are a disclosure tool that helps purchasers better understand a product’s sustainable qualities and environmental repercussions so they can make more informed product selections. To create an EPD, there must first exist Product Category Rules (PCR) which create testing guidelines and reporting methods through industry consensus, thereby permitting buyers and specifiers to compare products, apples-to-apples. The corresponding EPDs provide insight on the environmental impact of products from cradle-to-grave. Last year, UL Environment (a business division of Underwriters’ Laboratories), published the hand dryer PCR, a first for the industry and the first global standard for any industry. Excel Dryer was asked to chair the committee to create the PCR, working in collaboration with UL and other leading hand dryer manufacturers, to achieve the necessary industry consensus. For more information about Excel Dryer or its product line, visit exceldryer.com. 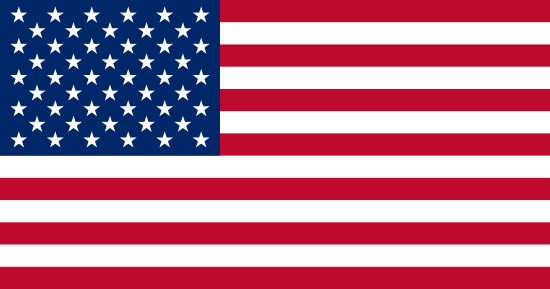 For more information about Excel’s three, new Environmental Product Declarations, visit: exceldryer.com/epd-leading-the-industry. 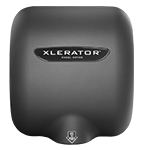 For over 50 years, Excel Dryer has been manufacturing the finest American made hand dryers featuring the XLERATOR® Hand Dryer. Excel Dryer is a family-owned and -operated company which revolutionized the industry by inventing the patented XLERATOR technology that created the high-speed, energy-efficient hand dryer category and set a new standard for performance, reliability and customer satisfaction. Excel Dryer continues to lead the industry with its expanded and enhanced product line featuring adjustable speed and sound, HEPA Filtration System, adjustable heat settings, multi-voltage options and more. 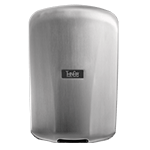 Combined with the most complete line of options and accessories, the best hand drying solution can be designed for any restroom environment. Excel Dryer prides itself on offering the ultimate customer service and making dependable products by employees committed to quality and dependability. 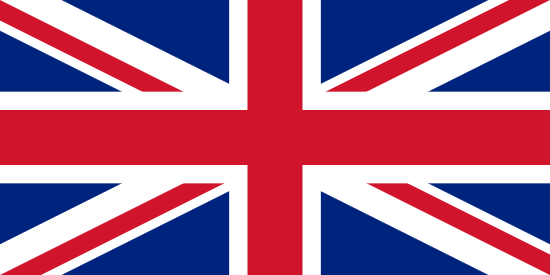 Excel Dryer products are available through an established network of sales representatives who call on more than 4,000 distributors globally for distribution worldwide. Learn more about Excel Dryer at exceldryer.com.